Looking for a way to dress up your house for Easter, or just something to pass the time between the egg hunt and Easter dinner? 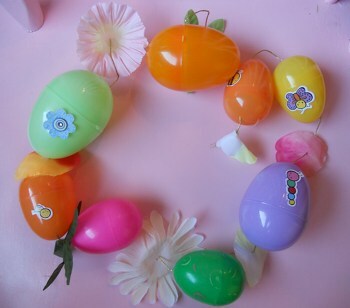 Print and put together this easy Easter garland craft. A great way to display those spring school portraits, all this Easter garland needs are scissors, glue, crayons and photos of folks you love. If you'd rather not use pictures, your child can always draw in the circles or attach pretty patterned paper. Either way, it'll make for an extra-special Easter. Decorate for Christmas while practicing fine motor skills with this Christmas Poinsettia Garland! Little ones can add bright holiday colors to these flowers. Decorate your home or classroom with a Valentine's Day garland! Your little ones will love decorating these hearts with glitter and ribbons. He'll be building fine motor skills as he colors and cuts out this Christmas gift garland. Decorate for Christmas while practicing fine motor skills with this Christmas tree garland activity, perfect for involving little ones in holiday decorating. As Easter approaches, it's nice to put out a few decorations that emphasize the beauty and freshness of spring. 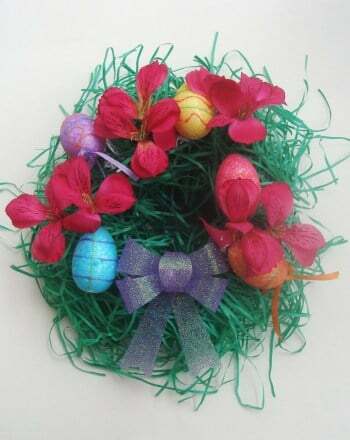 This Easter wreath is the perfect addition. No need to get spendy with your Easter basket this year—make a mini version with this paper Easter basket craft. Can you imagine what it's like to be the Easter Bunny? Get your child in the Easter mood with this fun writing prompt! Enjoy this challenging Easter crossword puzzle for kids. 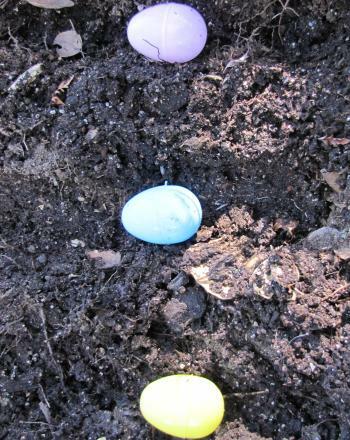 Instead of the traditional egg hunt, try this creative variation that will result in a beautiful Easter garden. Hidden in the Easter eggs are groups of words related to the holiday. Can you tell which word is spelled correctly? Get into the spirit of spring during grammar practice with this Easter themed worksheet! Learn to identify parts of speech with each Easter sentence.